Greetings from Boardman Nissan's automobile parts team! As the leading distributor of credentialed original equipment manufacturer (OEM) parts for Nissan in Boardman and Youngstown, Boardman Nissan has created a name for itself by supplying you with the part you require to take care of whatever maintenance issue currently faces you down. Digging a bit deeper, doing business with our staff of respected Nissan components gurus means also having access to an abundance of insights and experience you cannot come across anywhere else. Regardless of whether you need guidance on the right component for the job or a little additional insight into how to get things into place, you can put your confidence in the realization that the Boardman Nissan team of parts professionals will be ready to support you through each stage of this procedure. Want to learn more about why acquiring OEM components from Boardman Nissan is never a bad call? Then now is a fantastic time to take a closer look into the advantages of bringing your parts-buying needs to the welcoming and helpful team of specialists located here at the Boardman Nissan parts department. Prior to diving headfirst into all of the details related to why OEM parts from Boardman Nissan are always the right parts to use for your car restoration needs, it makes plenty of sense to first bring you up to speed with what exactly "OEM" means. To make a long story short, only components that originate from the manufacturer, Nissan, are allowed to lay claim to this status. While other aftermarket businesses might attempt to pawn off their selections as being of the same level of quality and durability as legitimate OEM parts, the big key here is only items stamped with the approval of Nissan have garnered the right to this elevated standard. Is Buying OEM Parts a Smart Move? Designed Upon Nissan's Rigorous Quality Guidelines — Nissan OEM parts must undergo demanding testing and evaluation before ending up in your hands, so you should never have any fears relating to the enduring quality and strength of these supplemental offerings. Made Specifically to Accommodate Nissan Repair Jobs — While third-party producers might propose to grasp the inner technicalities of the Nissan process, there is simply no way around the fact that only certified OEM parts from Nissan are constructed precisely with the specific features of your car in mind. The Only Parts Available near Youngstown Made by Nissan's Workforce of Engineers — The same engineers that designed the blueprint for your current Nissan automobile are also responsible for the foundation behind the certified OEM parts available here at Boardman Nissan, so it makes plenty of sense to choose to buy supplemental parts that originate from this association of accredited Nissan engineers. Backed by a Thorough Manufacturer's Warranty — Nissan knows confidence in their items goes a long way, so you can take solace in the truth that OEM components from this company come with a customer-first warranty that safeguards you and your vehicle. The big key here? Buying OEM parts straight from Boardman Nissan is the best way to guarantee the task gets done right without any road blocks. Now that we have covered what makes OEM equipment so great, it is time to handle your last concern: Does Boardman Nissan offer the Nissan part I am looking for? As you will soon discover, the clear-cut response to this query is clearly yes! Make no mistake, when it comes to supplying the people of Youngstown and Boardman with access to accredited Nissan OEM parts, it is evident Boardman Nissan's catalog of Nissan OEM parts is second to none. 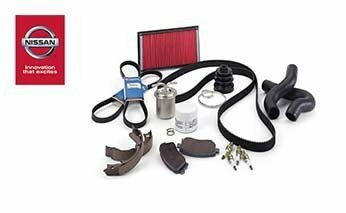 At this time, you are most certainly excited to get the ball rolling toward a successful automobile repair and purchase the necessary OEM part for the task at hand. To start you off with your best foot forward, you have a few paths you can take. First up, you can always drop by the parts department here at Boardman Nissan and have one of our reliable Nissan advisors help you go through through the various aspects of this crucial acquisition. Should the part you need be ready for pickup in our parts department's inventory, you will have the option to take it home with you following a brief visit; for anything else, we will be more than happy to get an order in with Nissan and have the part shipped to you in the most expedient manner possible. For those shoppers who would prefer to go through digital channels, take a few minutes to dig into Boardman Nissan's fast and easy OEM parts order form found on this page. After you finish filling out this simple form, a member of the dependable Nissan OEM parts specialists will process your submission and connect with you to guarantee you get your hands on the correct part promptly. Thanks again for visiting the Boardman Nissan parts webpage, and we cannot wait to give you a chance to leverage the leading selection of low-cost Nissan OEM parts near Youngstown the next time you find yourself facing an automotive restoration job.